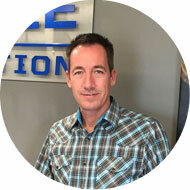 Alan Batters is the owner and President/CEO of Gee Bee Construction. He joined the company in the 1990’s working with his father, Elgin Batters. By 2001, Alan became President of the company. He genuinely enjoys the challenges, creating a high-level of customer satisfaction, and staying on the cutting edge of this industry. Alan has an entrepreneurial spirit, successfully venturing into new areas of business while continuing to steadily grow this company.